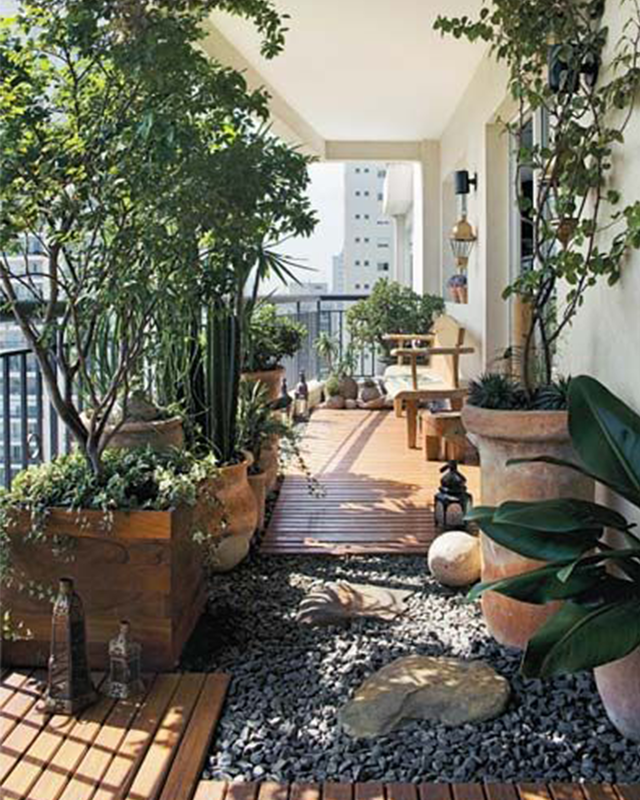 Planning a garden in limited square footage, like a terrace or balcony, can be challenging. 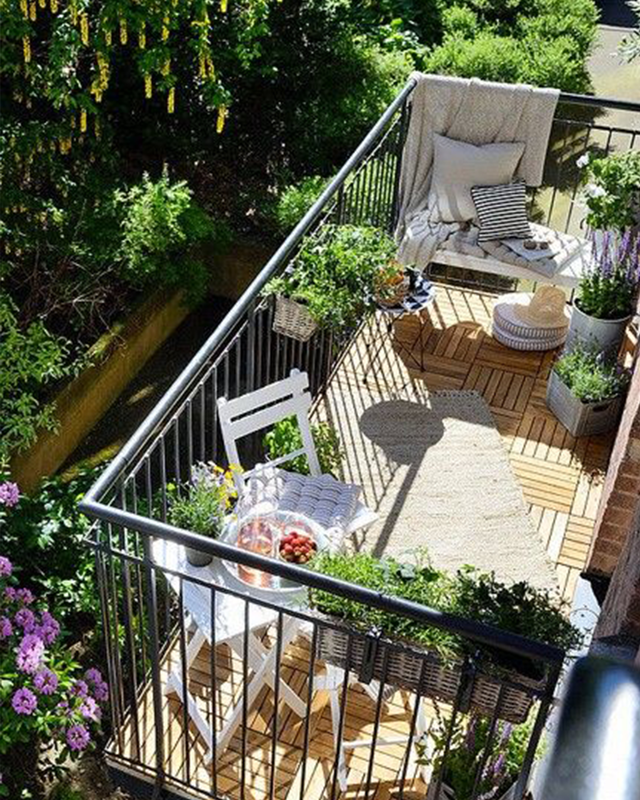 Not only can it be difficult to come up with imaginative ideas to create a fantastic balcony garden, but also it’s difficult to execute your ideas within the tight confines of a small area. However, you can take advantage of the opportunity to create a terrace garden masterpiece right in the comforts of your cosy balcony. If you are limited to a balcony garden, it doesn’t mean you can’t be original to create a unique outdoor space. Here are a few ideas to inspire you! 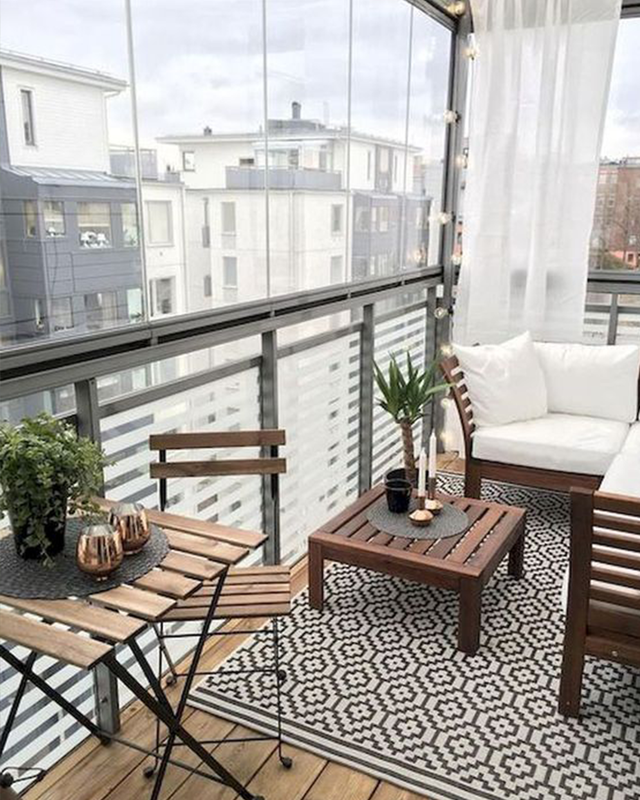 When you are designing a balcony garden in a small space, skip the tiles. Instead, consider adding a simple floor with a decorative rug. You can also get creative and add an artificial green carpet or turf rug to imitate the look of a lush lawn. If artificial turf isn’t your style, you can also apply wooden tiles for a natural look. On one hand, artificial turf provides the illusion of a vivacious green lawn. On the other hand, there is something to be said about the rustic element of natural wood. Ultimately, it comes down to personal preference. 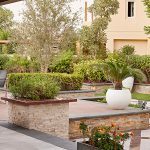 Rather than placing large pots in every square inch of floor, the design experts at Milestone suggest creating a display of various potted plants in one small area. Don’t be afraid to get creative and experiment with different size pots and various heights to add dimension. You can even refurbish household items such as watering cans or decorative vases for an original take on the traditional pot. When it comes to balcony gardens, hanging baskets are a great way to add a wide variety of plants while saving space. Wonderfully-designed hanging baskets allow you to add plants at higher levels. Not only do they look amazing but they also lend the illusion of more space. Hanging baskets are simple, yet they create a striking impact without consuming all of your balcony garden space. 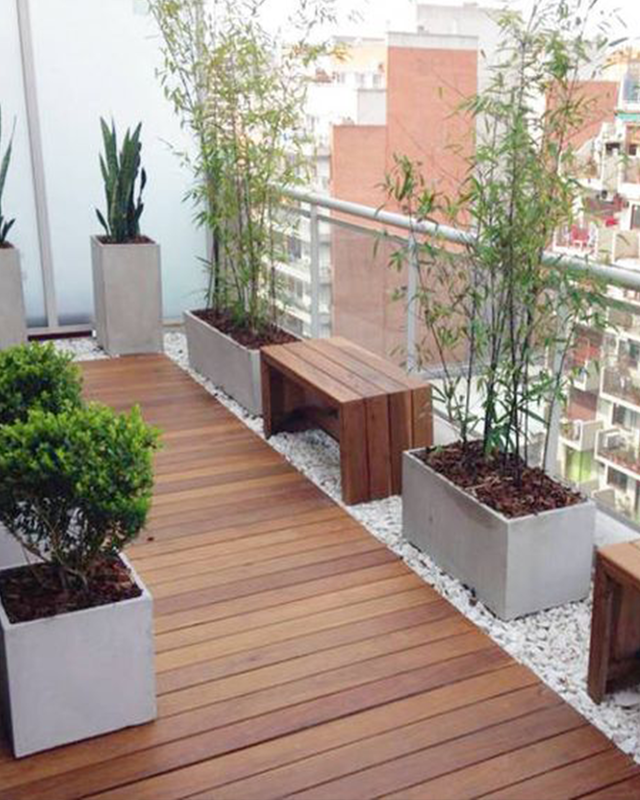 They offer a great alternative to add texture and colour to your balcony garden while maximising your space. Not to mention, several herbs, vegetables, and flowers thrive in hanging pots. 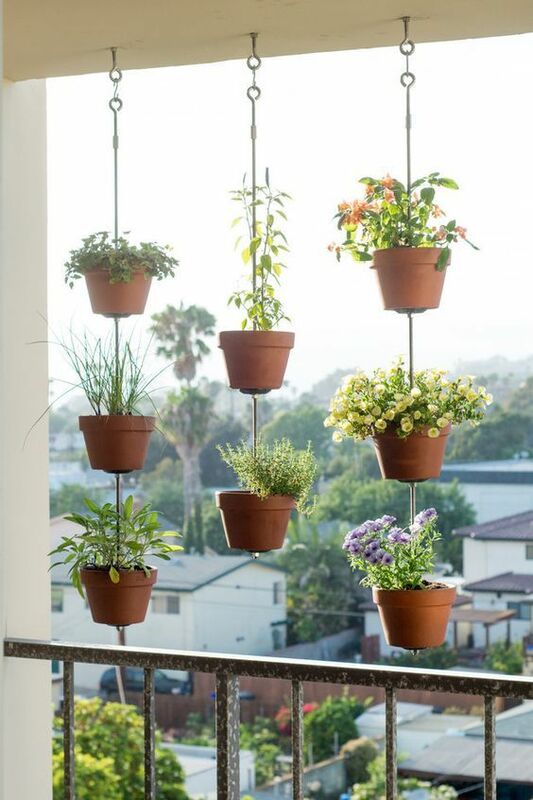 Just be sure to hang your plants at a height that makes them easy to water and maintain. And don’t forget your terrace railings. Consider installing hanging flower boxes on the outside of your balcony railings to create more space for lush plants. 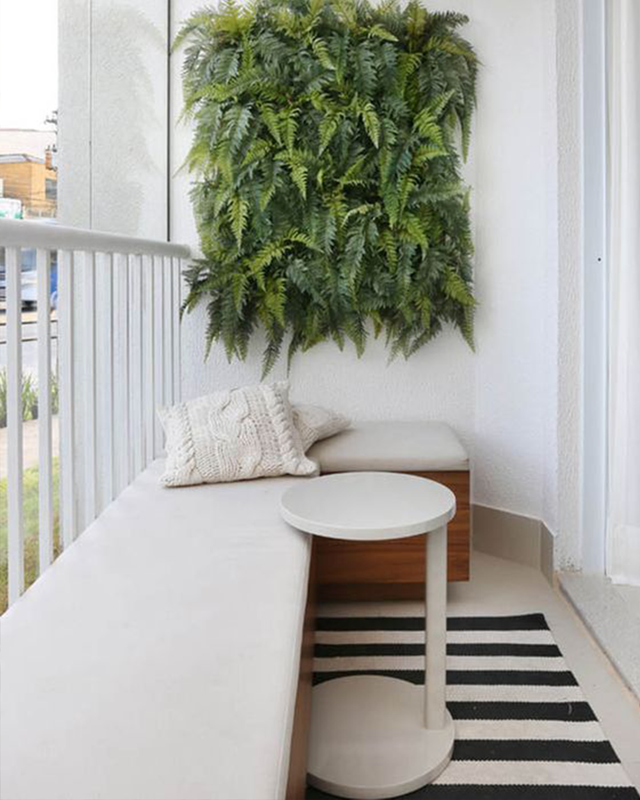 A vertical green wall is a perfect way to enhance your balcony garden. If you space permits, consider creating a small structure for support or install a trellis for climbing plants. Lush vertical gardens are an excellent way to maximise the space of your balcony garden. 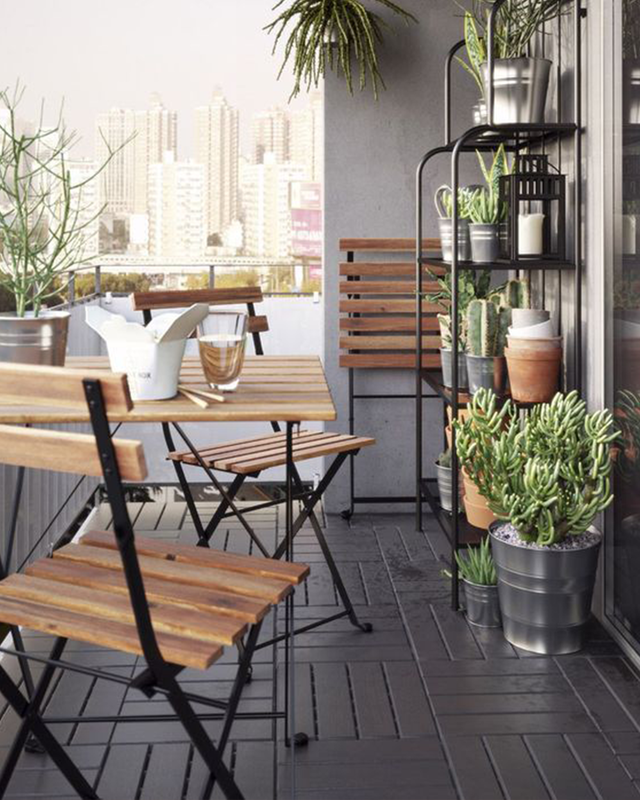 If hanging baskets and potted plants aren’t really your cup of tea, there are plenty of other exciting and imaginative ways to decorate your balcony garden. Think custom water features, decorative sculptures, or mini rock gardens. Not only does this inject your personal taste to your balcony, but also makes your terrace garden more welcoming. 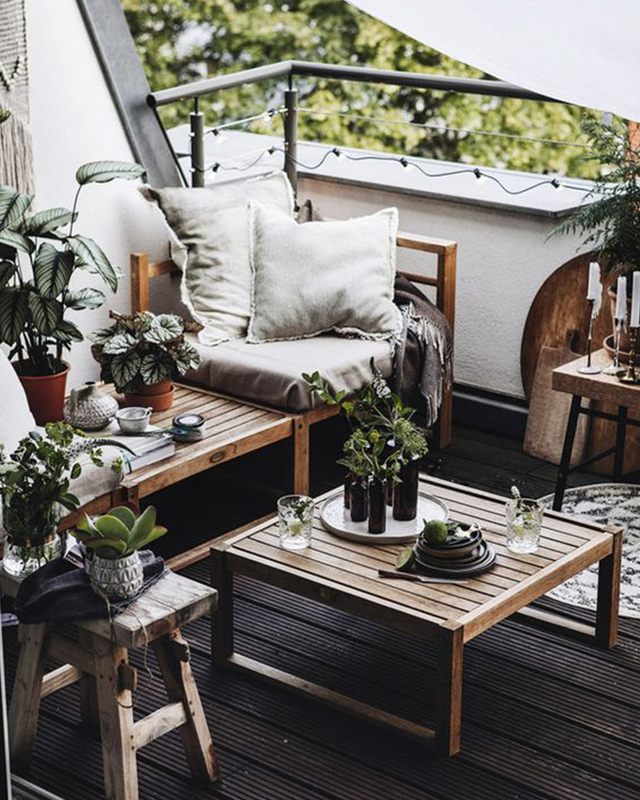 If your terrace space permits it, place a small table with two chairs for a cosy seating area. 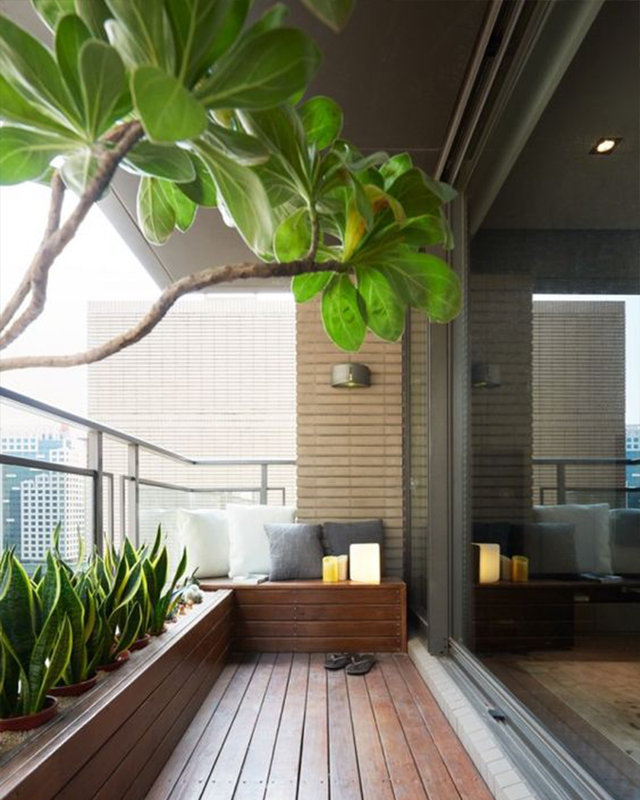 Not only will this little area be the perfect place to sip your tea on a warm afternoon, but also it creates the perfect place to take in some fresh air before you start your day. You can even get creative. Consider refurbishing an old shelf or bookcase against the outside wall. This is a great way to showcase your potted plants and other favourite garden decors. The possibilities are endless. Designing and planning a balcony garden can be challenging. Not to worry, the experts at Milestone are here to help. 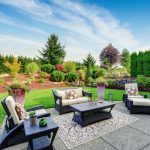 From small terrace gardens to complete landscape overhauls, we know landscape design. Whether you know exactly what you want or need a little inspiration, our team has the experience and knowledge to make the most of your terrace. Together we will transform your balcony garden into your dream space! Contact a member of our design team to schedule your free design consultations. 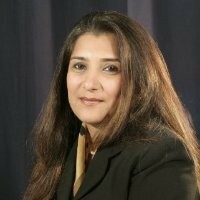 Sejal Nagjee, Milestone’s CEO and Creative Director is a gifted designer. 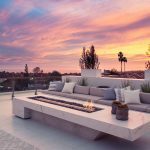 Regardless of the project scale or scope, from homes and offices, hotels and restaurants, to gardens and exterior living spaces, her distinctive style injects a fresh and vibrant perspective to each and every living space. With over 30,000 hours of hands-on experience, across a wide breadth of interior and exterior design and build projects, Sejal has the skills, passion, resources and industry connections to get the job done on time!